Nevin Aladağ's most recent work, Resonator, is a polyphonic sculpture with an array of string, wind and percussion instruments – ranging from harp, mandolin and chimes, to acoustic and bass guitar, drums and didgeridoos. 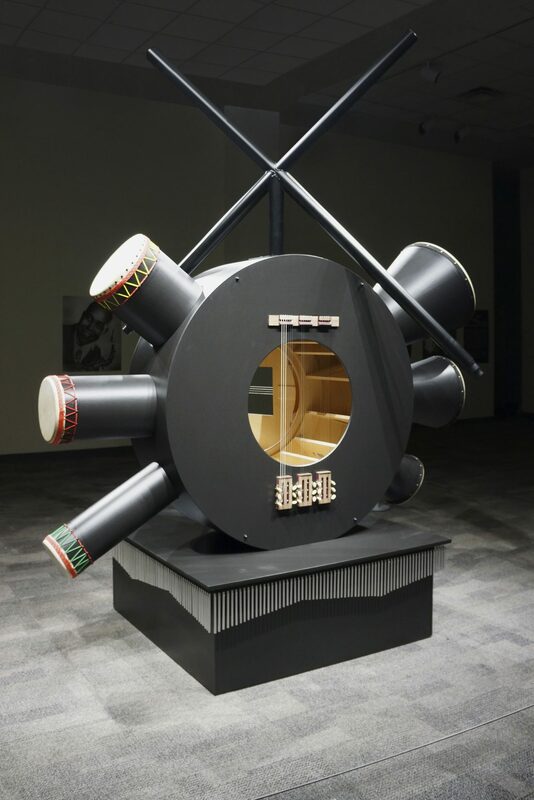 Even though culturally and geographically of different origin, they all unite in a large polyhedron that allows their sounds to resonate in the same large body. 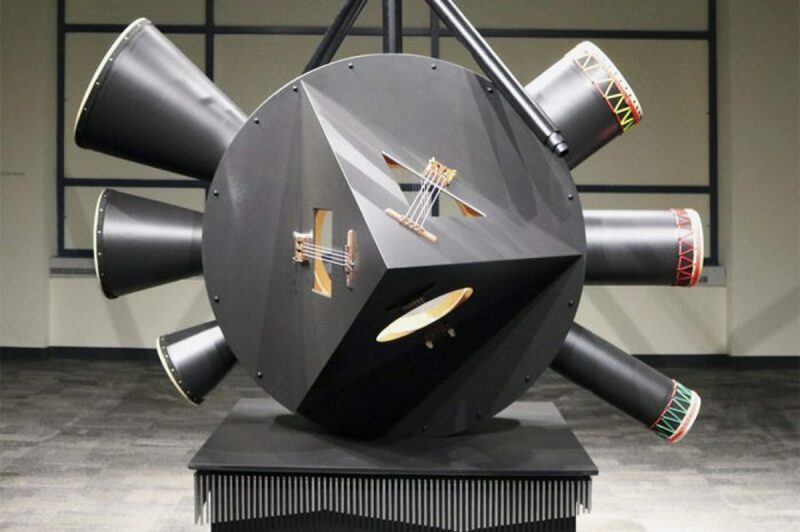 Visually, Resonator appears as an arrangement of basic geometric black shapes: a cube, a circular form, several cylinders and a pyramidal structure. Resonator, just like an orchestra, merges to a unit of instruments, which can be played by many musicians at the same time while each tone is always in relation to the other. 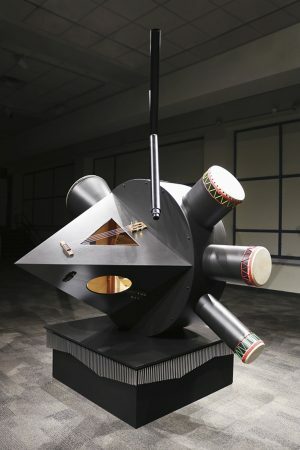 While Resonator is a continuation of Aladağ's Music Room series, in which she converts everyday objects into instruments, her new musical sculpture furthers her formal, conceptual and material concerns by condensing various instruments into one single object. By creating a texture of different acoustical elements, Aladağ also references her Social Fabric series in which she creates tapestry out of various textiles that become utopian carpets beyond place, style and era. Formally, Resonator also evokes cubist sculptures and the musical avant garde of the 20th century. 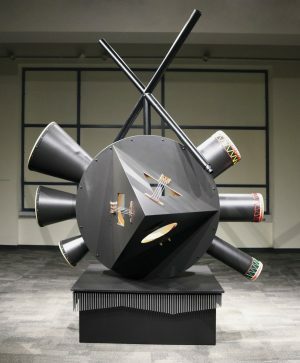 Consider, for instance, Luigi Russolo’s so-called noise machines “Intonarumori” from 1913, or Alexander Archipenko objects from the same year. From that century to this, unexpected compositions emerge and different sonic environments resonate as one.